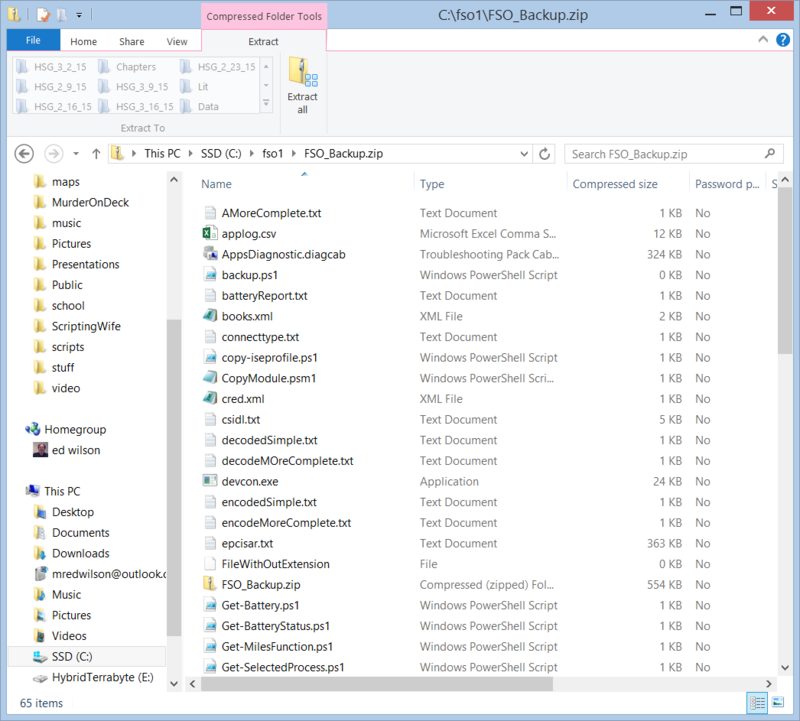 Summary: Microsoft Scripting Guy, Ed Wilson, talks about using Windows PowerShell to create a .zip archive of a folder. Hey, Scripting Guy! I need a way to create a .zip archive of a folder. I would like to do this on my laptop running Windows 8.1, and I do not want to install any other software. Can I do this? Microsoft Scripting Guy, Ed Wilson, is here. The weed eater dude is outside. The guy is really dedicated to his job. I mean, the snow has barely cleared, and he is out there chopping away with his weed eater. I really enjoy hearing him, because it fills me with hope that summer is on its way, and that soon we will have warm weather and we can get outside without having to bundle up. Certainly I can put on a coat and hop on my bicycle, but I learned (the hard way) a long time ago that trying to ride a bicycle when there is ice on the road is not the smartest thing to do (at least not for me). So I prefer to wait until the snow melts, the ice thaws, and the sun is out before taking to the open road. TR, luckily, you do not need to wait for anything before you can use Windows PowerShell to create a .zip archive. You have everything you need—and that is .NET Framework 4.5. The ZipFile .NET Framework class was introduced with .NET Framework 4.5, and Windows 8.1 ships with .NET Framework 4.5 installed. This is really cool because this class is extremely easy to use. 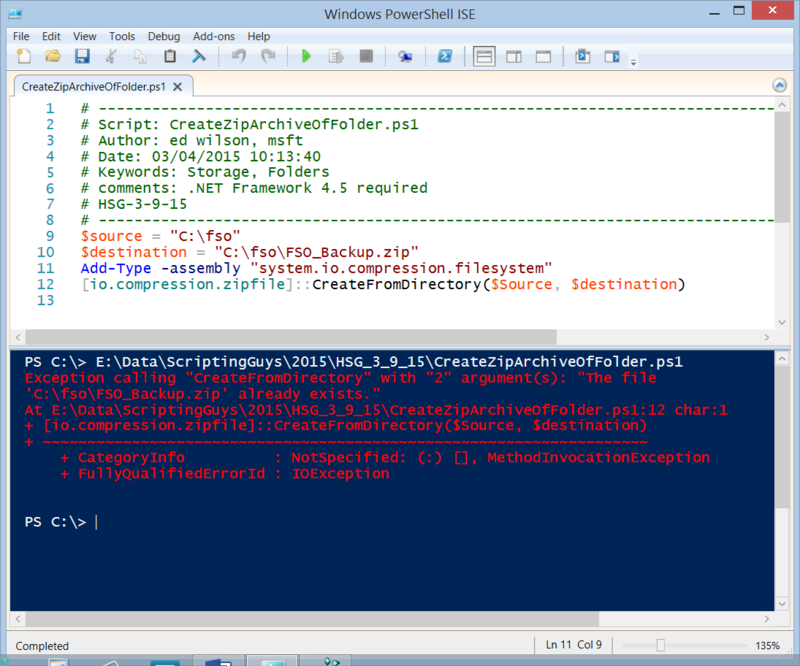 TR, that is all there is to using Windows PowerShell to create a .zip archive of a folder. ZIP Week will continue tomorrow when I will talk about more cool stuff.